WASHINGTON -- President Donald Trump says the NFL should suspend Oakland Raiders running back Marshawn Lynch. 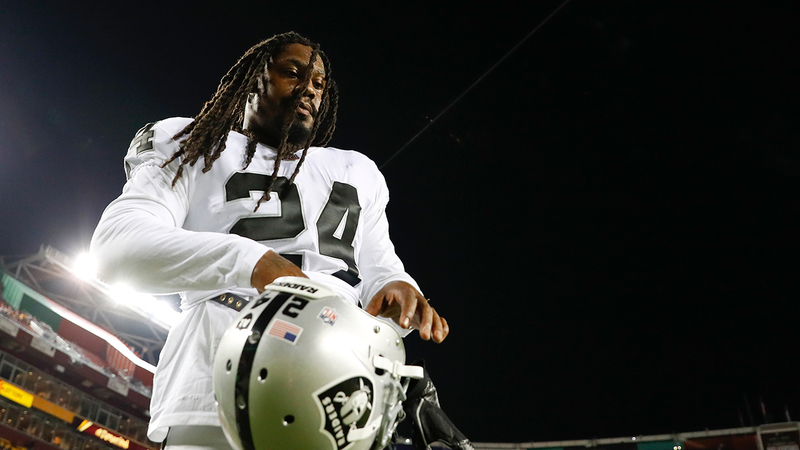 Lynch sat during most of the U.S. anthem and stood for the Mexican anthem before Sunday's game against the Patriots at Azteca Stadium in Mexico City. Lynch hasn't stood for the national anthem since returning from retirement this season. Trump tweeted early Monday: "Great disrespect! Next time NFL should suspend him for remainder of season. Attendance and ratings way down."